First, Penguin announced the end of their contract with Overdrive, not only leaving librarians unsure as to what’s going to happen with existing Overdrive books from Penguin, but also casting doubt on Overdrive’s ability to keep large publishers as partners. Having just gone with Overdrive this year, it makes me hesitant. There’s no answer yet about whether libraries will be able to retain their existing titles from Penguin either. This decision on Penguin’s part, as well as Harper Collin’s decision to limit checkouts on their titles demonstrates the deep disarray going on in the e-book market as it regards libraries. Publishers need to wake up and recognize the proven impact that library’s use of books can have on sales and that librarians are important players still in recommending or highlighting titles. The good news in all this is that there appears to be some relief on the e-book front as other players on entering the market. It’s easy to start seeing the day when you’ll easily buy e-books from all the large book jobber warehouses as easily as you would buy a print title. Baker and Taylor is rolling out a totally rethought model of their e-book content using the Blio app, one designed in conjunction with Ray Kurzwell. They’ll be reformatting books for publishers and also giving them the tools to make additions and changes. Presumably this will also come into play with library lending models, but it’s an interesting development to look out for as Baker and Taylor is such a large jobber. Ingram told me at ALA Midwinter that they are working on deals with fiction publishing houses, and they also are considering some “lease” options for sets of books which could be very interesting. 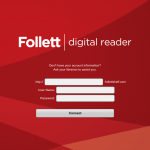 At TCEA this week, Follett demonstrated their newly announced apps for their products. 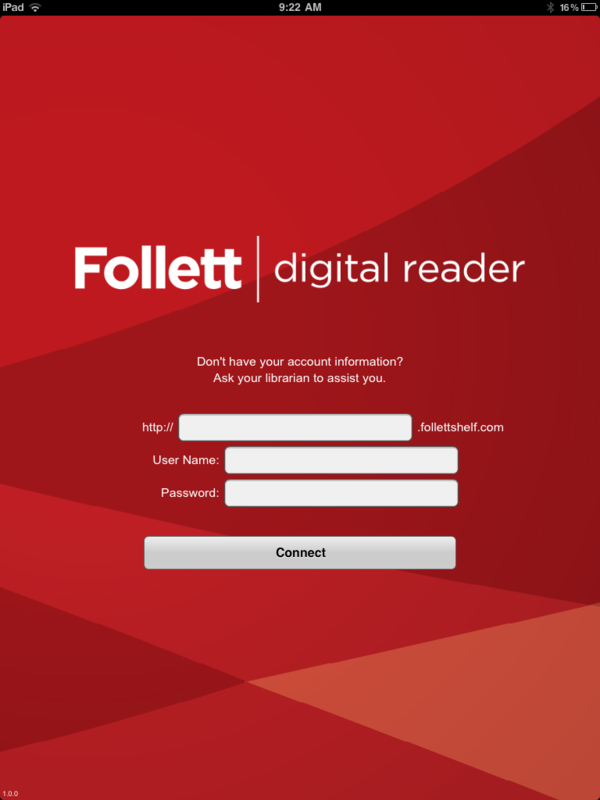 The new Follett Digital Reader app will allow students to check out books to their mobile devices from the Follett SHelf, a collection of e-books that the library can build. Follett’s pricing is very appealing to schools, as they aren’t charging an annual fee (this continues their policy of not doing that) nor will they be charging an additional “mark-up” for e-book content. The Follett Shelf product also stands alone from Destiny, so if a district doesn’t have Destiny, they could have the Follett Shelf book collection for student check-out. They are also rolling out Catalyst Digital (frankly, in the k12 student world, I think they could have picked a more memorable name for students), which is their audio e-book platform, again check-out-able. (is that a word?) The content in Catalyst is based off of Follett’s popular Playaways. Follett also has rolled out a new app for their catalog, Destiny Quest (which you can use whether you use Quest or not), but you have to do the latest upgrade on your catalog to get it to work). Follett knows libraries, and their entrance into the check-out ebook market may make them a significant player in K12, but it will depend on the quantity and quality of books offered. And libraries may end up offering multiple platforms as the offerings vary (for example Overdrive has only the audio version of Hunger Games, while Follett only has the e-book version). And so the mayhem continues…. PostScript: This is an excellent Scoop-It on e-book news if you want to keep up with the latest! Im in such a quandary! $3000 to continue Overdrive (just the platform, and no new ebooks) and the pickings are getting slimmer and slimmer. If I opt out, I essentially LOSE that $3000 investment. I went in thinking I’d give it 2 years. Now Im not so sure. I “like” the curriculum matching that Follett Shelf offers, though I had decided to wait until next fall to seriously consider it. Why oh WHY did these publishers have a falling out with Overdrive? Their disagreeing is hurting schools with pretty tight budgets. And these other vendors are surely to gain from it. Meanwhile I’m in a stew in my quandry. I’ve been talking with other vendors recently and will be posting more about that soon. But Follett and Baker and Taylor have both rolled out e-book offerings with apps this last month. And Ingram is looking at adding fiction offerings to its collection. So there’s a lot of competition entering the market which should be good for pricing, I hope! I hope so too Carolyn. J.K. Rowling’s joining with Overdrive is a very interesting move. I honestly never thought I’d see that happen, and it probably sends a bit of a message out there about Overdrive’s strength in the eBook marketplace, despite the hit it took with penguin dropping out. 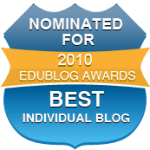 We may well see author’s entering their own negotiations with eBooks suppliers to get their work sold. I do think there is the possibility that we could be supporting different platforms for different offerings. I see our public libraries doing it over here now. Definitely interesting times we are living in.